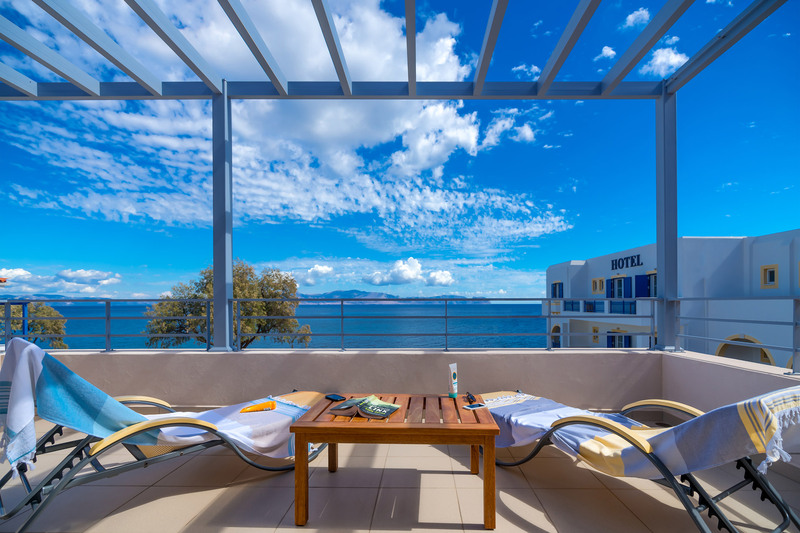 Large comfortable 17 m² balconies offering spectacular sea views. 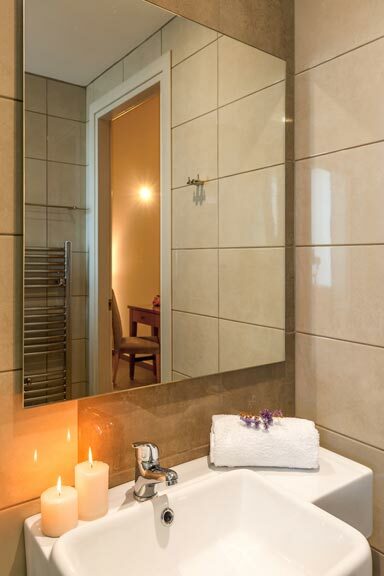 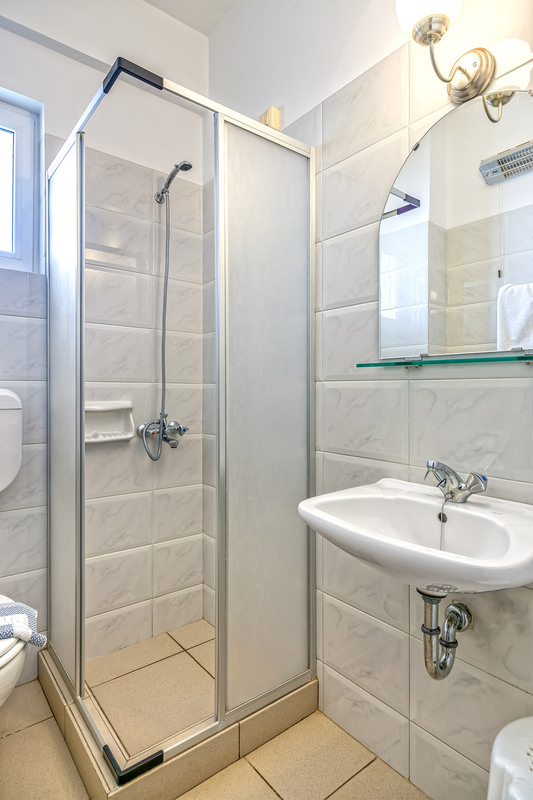 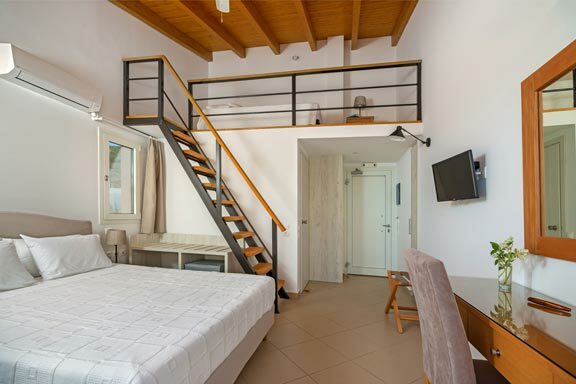 Triple rooms are fitted with a double size bed and one single or three singles. 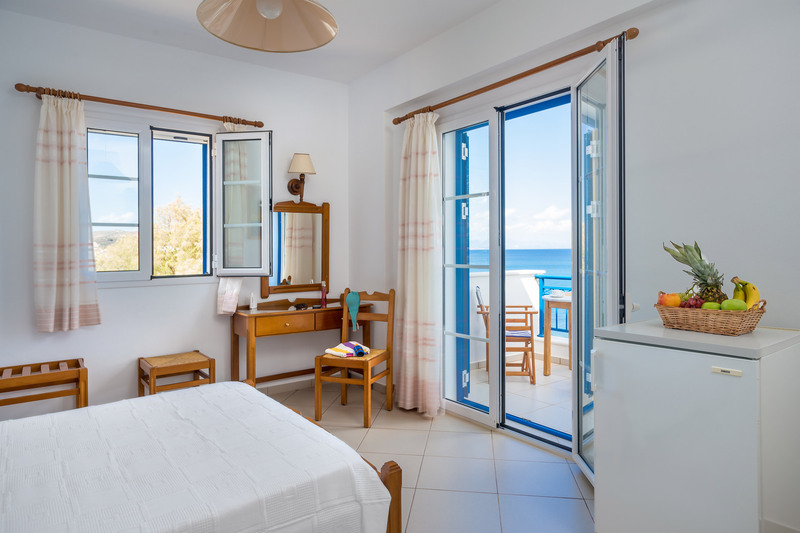 These rooms feature mesmerizing uninterrupted sea views. 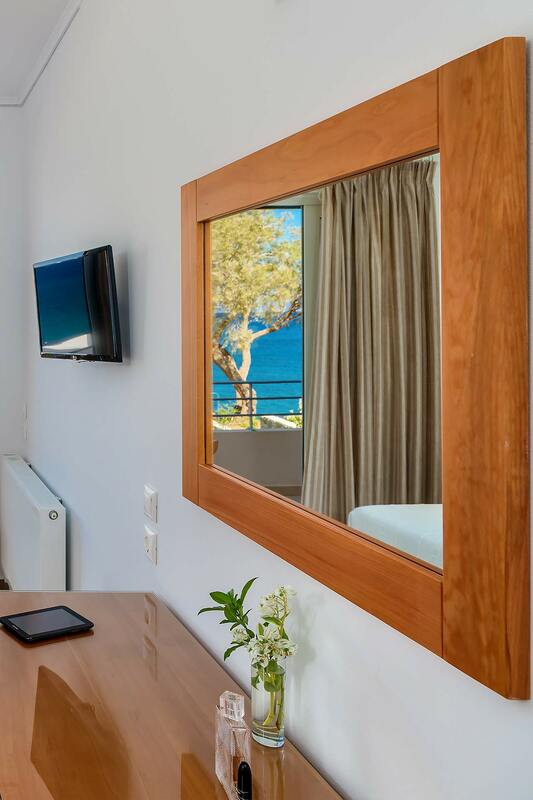 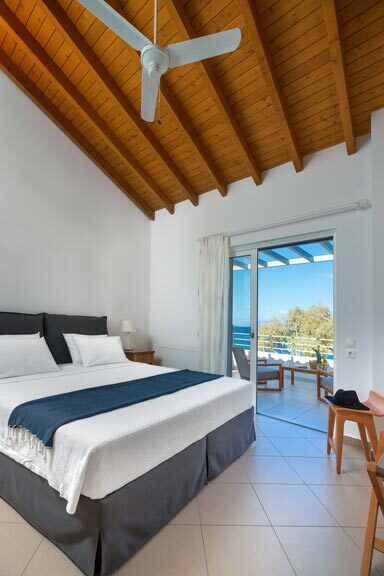 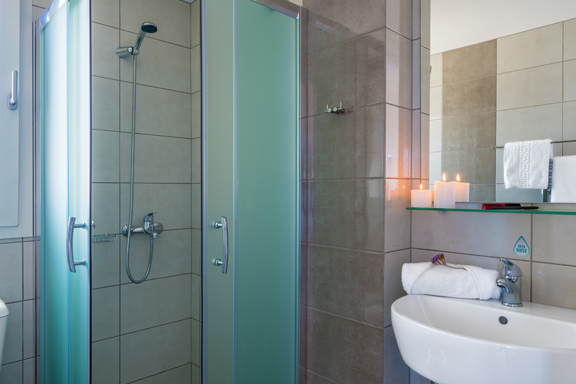 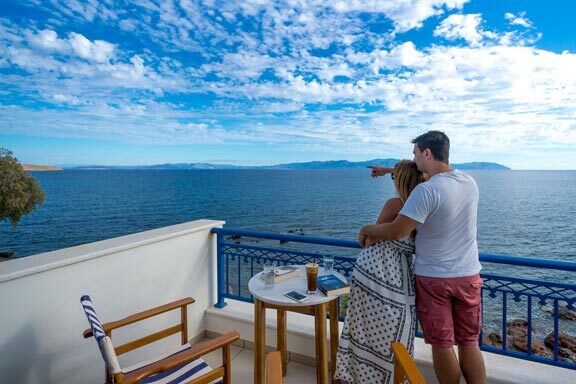 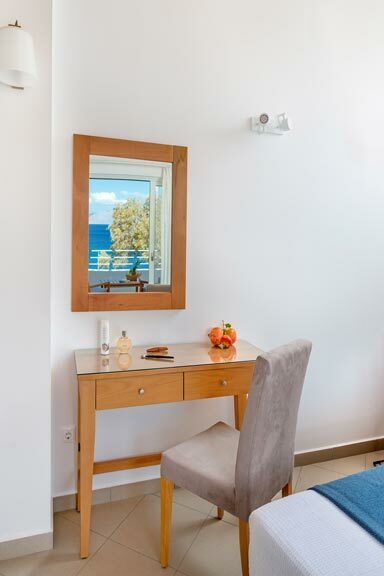 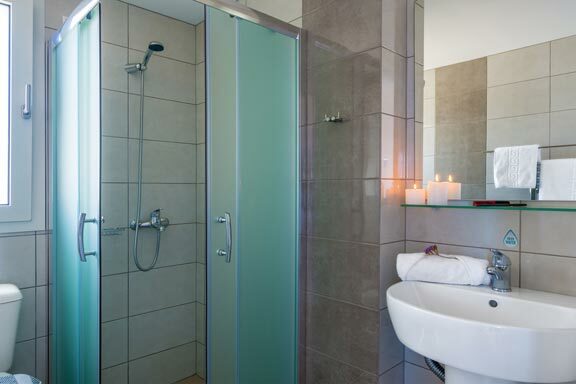 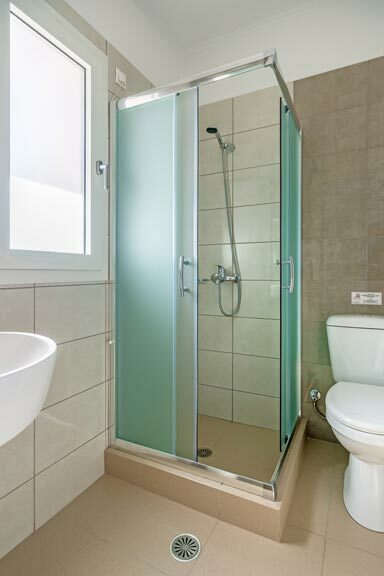 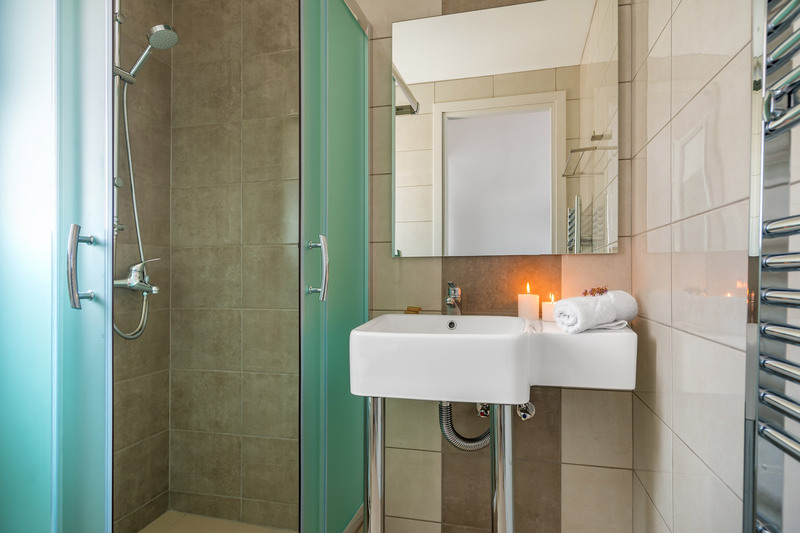 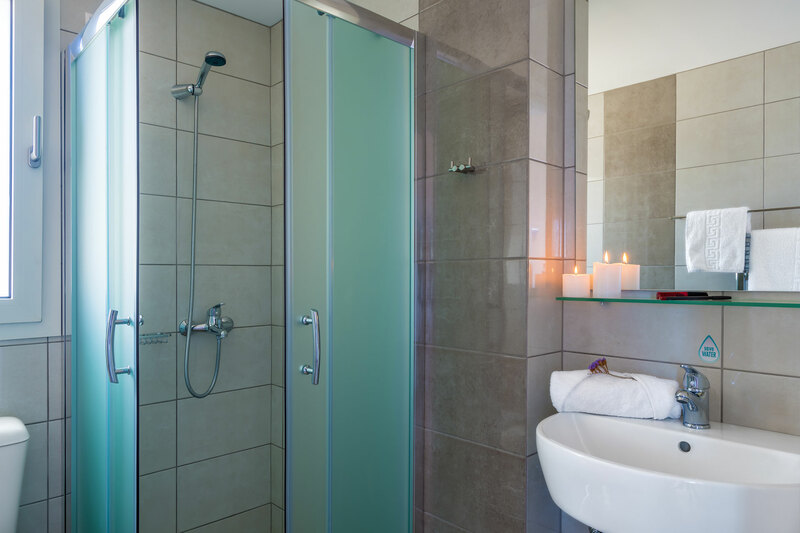 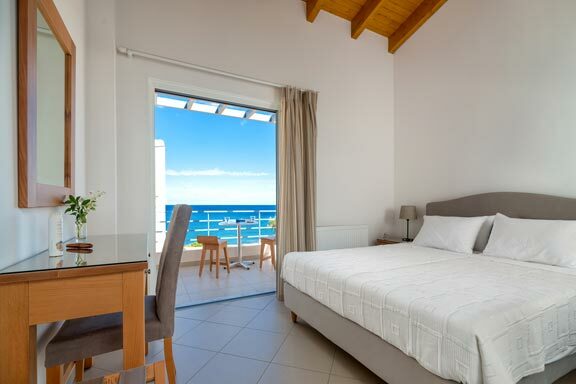 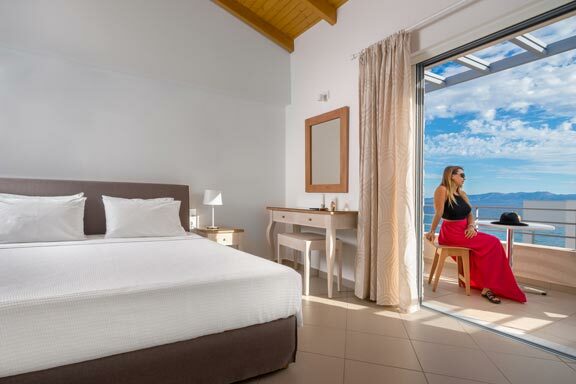 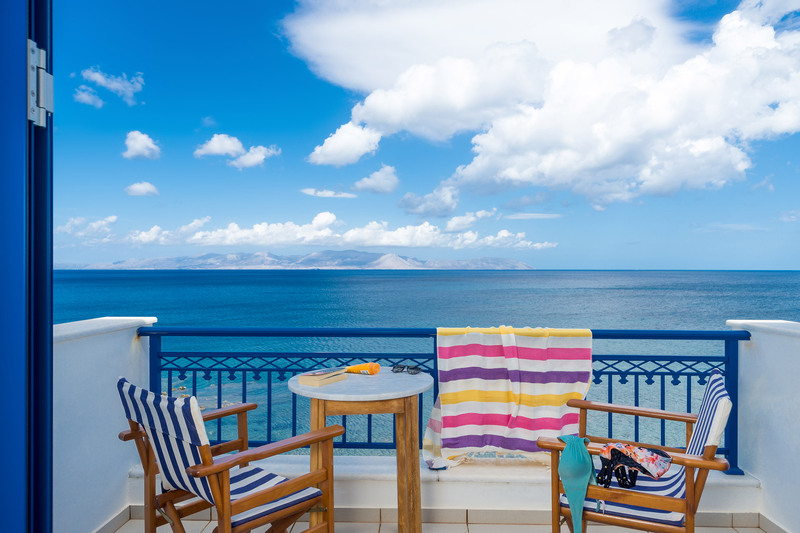 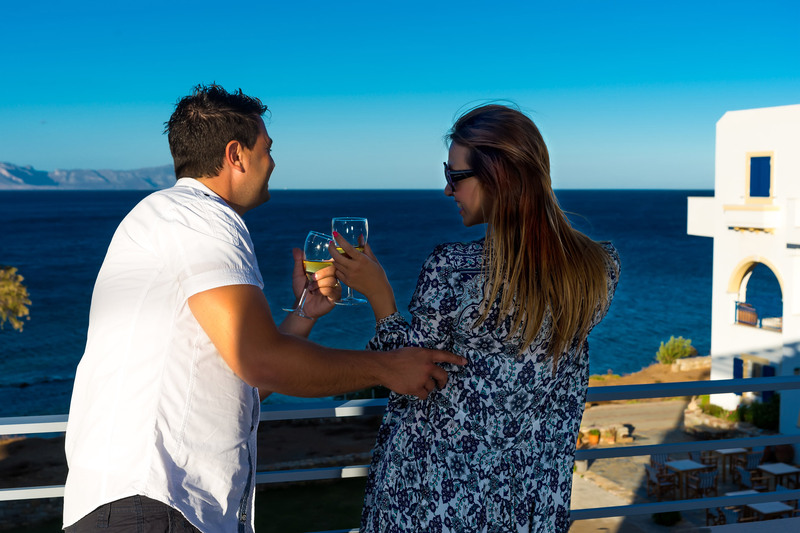 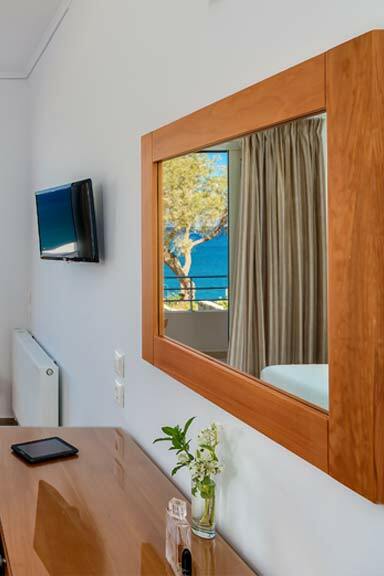 In this room type you will experience the breathtaking Kytherian sunrise and at night the moonlit sea. 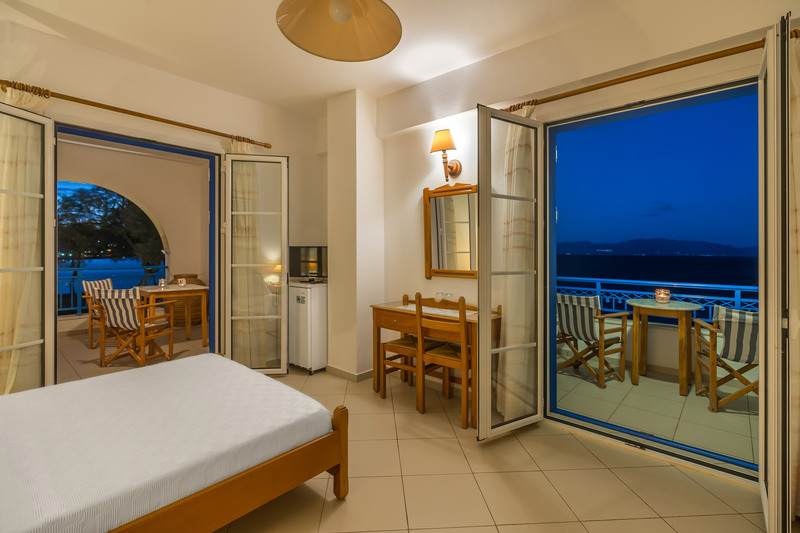 Triple rooms are fitted with a queen size bed and one single or three singles.